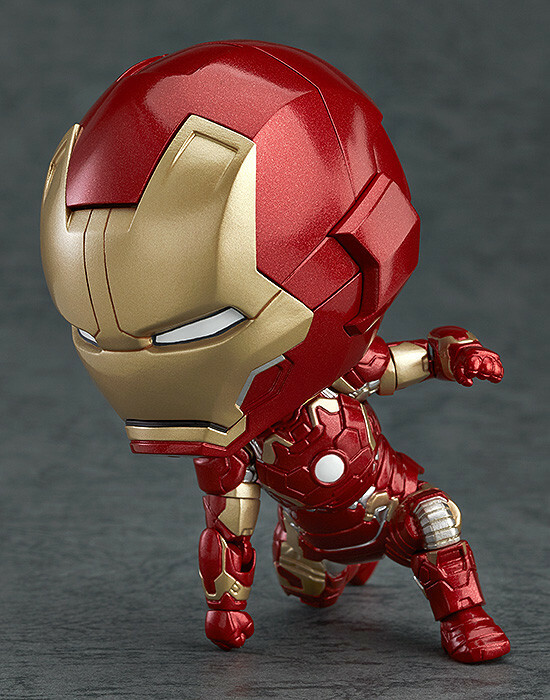 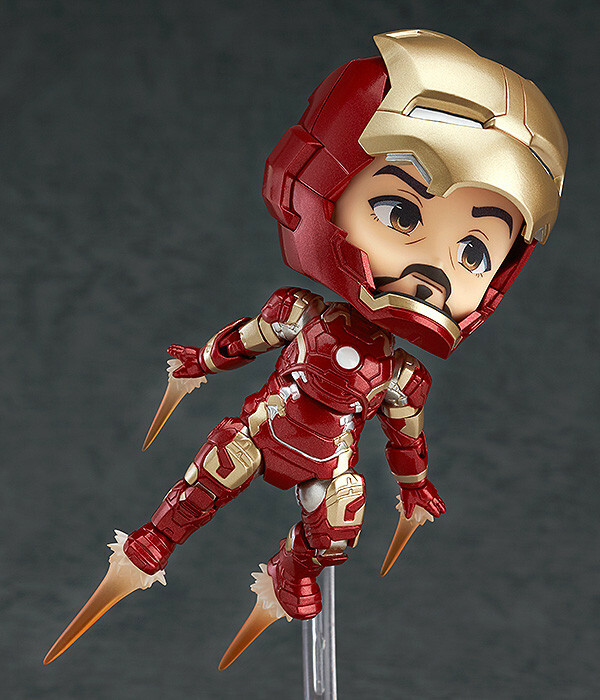 From the hit film 'Avengers: Age of Ultron' comes a Nendoroid of Iron Man Mark 43 - the 43rd rendition of the Iron Man armor! 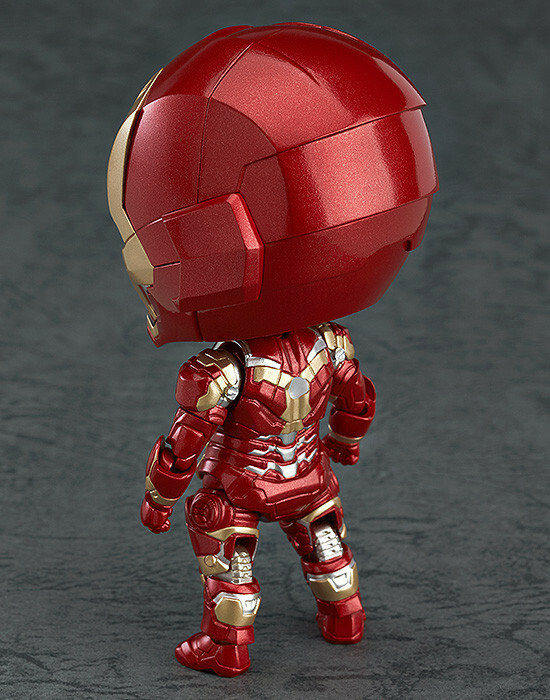 The primarily red armor is fitted with sixteen different points of articulation, and comes with the same popular effect parts as before allowing for all sorts of action poses! 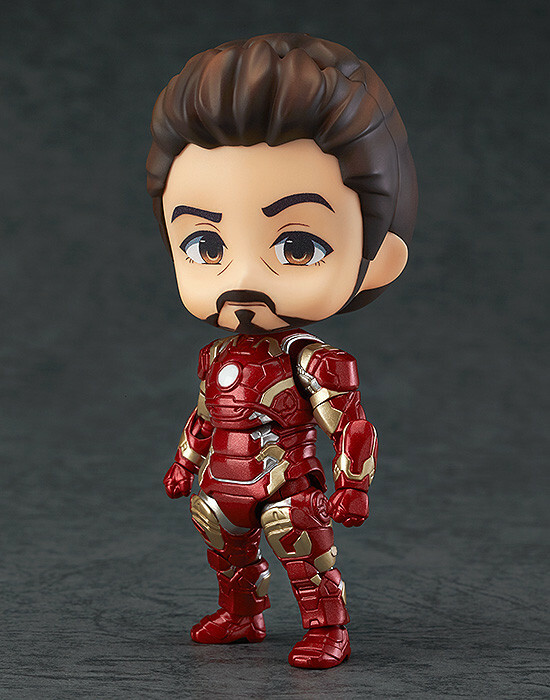 A special Tony Stark face plate and head part are also included allowing you to display him out of combat as well - this time around the Stark face plate has one eyebrow raised in a judging expression that suits his personality perfectly! 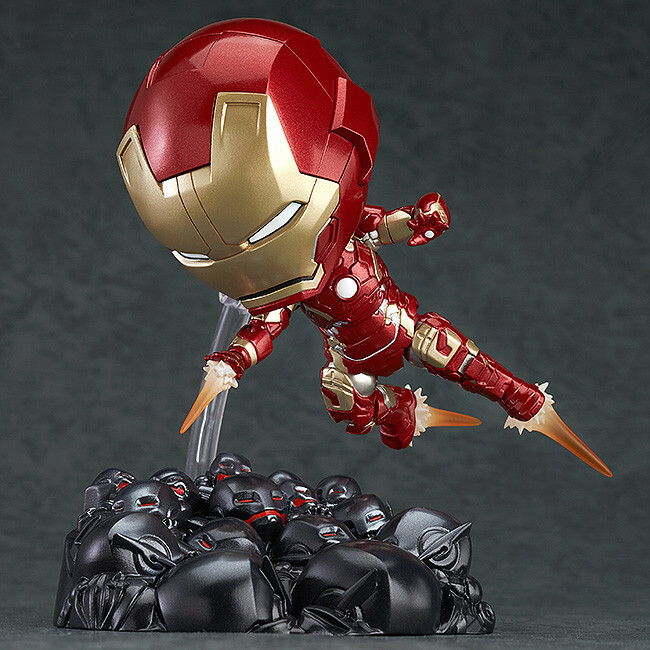 Additionally, a special vignette base is also included that features a huge number of Ultron sentries for Iron Man to face off against! 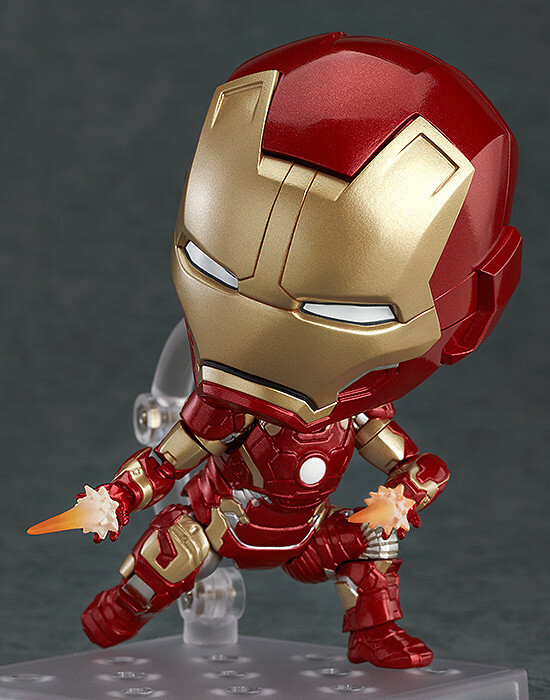 Enjoy recreating the heated battles from the film in Nendoroid size!